Puerto Rico and San Juan, in particular, has long been known as a premier destination for quality jewelry at discount prices. The quality is certainly there, and the good news is that there are so many vendors in a small area (mostly around Cristo and Fortaleza Streets in Old San Juan, and in the Plaza ​Las Américas mall in ​Hato Rey) that prices are competitive. Don't be surprised to find some of the world's best brands in Puerto Rico. As for where to go, consider this list your directory for jewelry shopping in San Juan. There are a few reasons to recommend Argenta. For one, you'll meet Hector Giovanni, one of the few licensed jewelers and gemologists in San Juan, and a charming host. For another, Argenta is a good bet for more budget-minded shoppers, focusing on silver jewelry, precious and semi-precious stones like larimar and amber, watches, and Swarovski crystal. And finally, as the Exclusive supplier for Elle in the Caribbean, you know you'll get good quality stuff here. One of the most prolific Jewelry merchants in Puerto Rico, Bared can be found all over the island. Its flagship store is a lovely corner boutique on Fortaleza Street, but you'll also find branches in and around San Juan. Bared has a broad inventory of jewelry, fine crystal and porcelain, watches, and bridal collections. It specializes in high-end, world-renowned designers that include Bulgari, Breitling, Cartier, and Lalique. Definitely not the place to go for discount prices, it's more the kind of place to go shopping for an engagement ring or a special occasion. Chanel; Chopard; H. Stern; any of those ring a bell? At Club Jibarito, they're just a few of the household names you'll find. 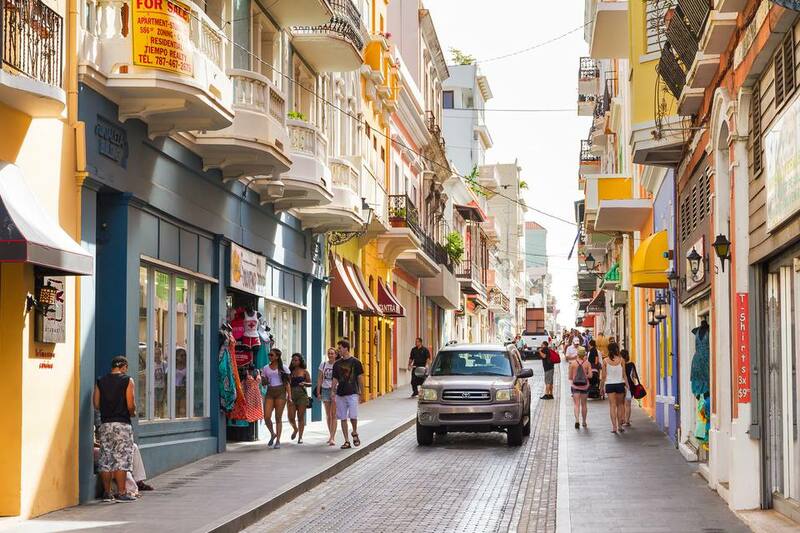 One of Puerto Rico's most exclusive jewelers, Club Jibarito has several stores in San Juan, including Cristo Street in Old San Juan, Plaza Las Américas, and at El San Juan Hotel and Casino in Isla Verde. For high-end watches and jewelry, you'll be hard-pressed to find a collection like this elsewhere on the island. A beautiful boutique on San Francisco Street, Demel stocks high-end Italian jewelry. Again, not for bargain-hunters, but its collection is excellent. The largest distributor of Rolex watches in Puerto Rico, Joyería Riviera is one of the finest jewelry stores on the island. It's also known for its diamonds and 18-karat gold collections, as well as its David Yurman designs. Located in a gorgeous historical building, Michael Lawrence is a sort of exclusive one-stop-shop. From fine cigars and liquors (including hard-to-get wines) to priceless art and antiques, to custom-designed jewelry, Michael Lawrence Studios has something to cater to your sophisticated tastes ... and if they don't, don't worry: "we can get anything in the world" is the policy here. Check out their video. From well-known, high-end local names like Bared and Club Jibarito to international brands like David Yurman and Zales, Plaza Las Américas will send you on a happy treasure hunt. What Are Some Tips for Visiting the Castillo de San Cristobal?